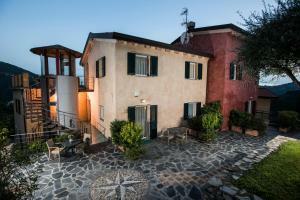 Situated in Carasco, Bed and breakfast Rivarola al Tempo Dei Castelli offers accommodation with free WiFi. The units have a fully equipped kitchen with an oven, coffee machine, and a microwave. There is a private bathroom with bidet and free toiletries in each unit, along with a hair dryer. Guests at the bed and breakfast can enjoy a buffet breakfast. B&B Rivarola al Tempo Dei Castelli offers a terrace. Guests can also relax in the garden. Genoa is 44 km from the accommodation, while Portofino is 27 km away. Genoa Cristoforo Colombo Airport is 52 km from the property. 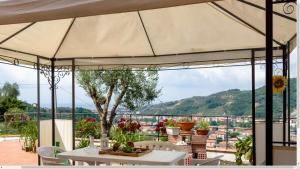 When would you like to stay at Bed and breakfast Rivarola al Tempo Dei Castelli ? Each day we'll check prices and send you an email for your selected dates at Bed and breakfast Rivarola al Tempo Dei Castelli. If you don't have specific dates but would like to check prices for say next weekend or say next month we can check the price too. Click to write a review and share your experience of Bed and breakfast Rivarola al Tempo Dei Castelli with other travellers.